After college and ten years in the Marine Corps, including three combat tours in Iraq, we moved from an apartment in Newport Beach, California to the pine forests of The Woodlands in southeast Texas. We sell honey produced and harvested on our land by our bees, and we grow chemical free seasonal vegetables utilizing both the high-tunnel system and traditional open air crops. We believe sustainable agriculture is important, therefore we do not practice the use of chemical pesticides or fertilizers, and we use only natural methods to maintain the health of our soil. Hi, I'm Mike Atkinson, along with my wife Theresa, and my son Bobby. In 1961 my grandfather purchased the farm my son and I farm own today. 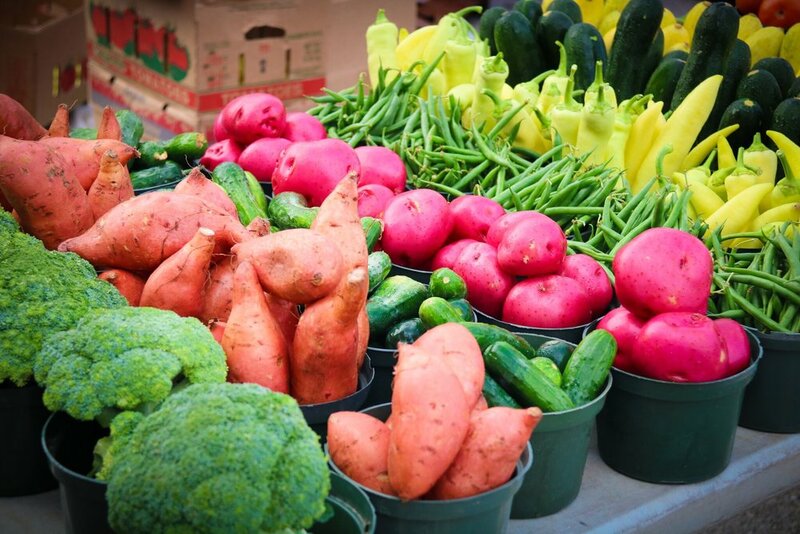 Now our market caters to the local grocery store, Bayou City Farmers Market, and The Woodlands Farmers Market. Presently we farm about 100 acres of vegetables. We have two box trucks for RB Schoemann, 19 tractors, over 100 pieces of equipment, and 8 full time workers at about 60-70 hours per week. We grow a variety of over 60 different vegetables year round, dependant on what is in service. Edmonds Farms is working hard to preserve the heritage of family farming which has been passed down through many generations dating back to 1872. Edmonds Farms, though relatively young, is part of a much older, established family farm and currently involves three generations of family working on the farm. At Edmonds Farms, we grow all of our produce pesticide-free and deliver it to you within 24 hours of harvest insuring you get the freshest crops possible! We first bought our land ( about 2 acres) back in 2016 when the family decided that it was time to expand! Since then, we have been able to slowly increase production for veggies and poultry (eggs and meat). Half a section our land is strictly used for crops while the other is used for our poultry farming. Jollisant Farm was established in 1955 as a working dairy farm. In the early 70’s the dairy business was closed, but the barn and garden remained. With the garden still producing each year, we would sell a few of our vegetables just to pay for seed. Then in 2008 we started selling to the public on a small scale. By 2012, we added strawberries and officially turned the farm into a pick your own. Today, consumers pick their own vegetables and strawberries while enjoying fresh country air and sunshine. Rick and Joanna have a backyard organic vegetable garden. They sell their excess to the public. Ed produces vegetables, fruits, herbs and starter plants sustainably, always striving to minimize inputs such as energy, water and fertilizers.